In 1991, the HCDA acquired approximately 400 acres of land in He`eia on the windward side of Oahu as part of a land exchange with the Estate of Bernice Pauahi Bishop. At its July 1, 2009 meeting, the Authority authorized the Executive Director to enter into a long-term lease with Kāko‘o ‘Ōiwi, a community-based non-profit corporation. 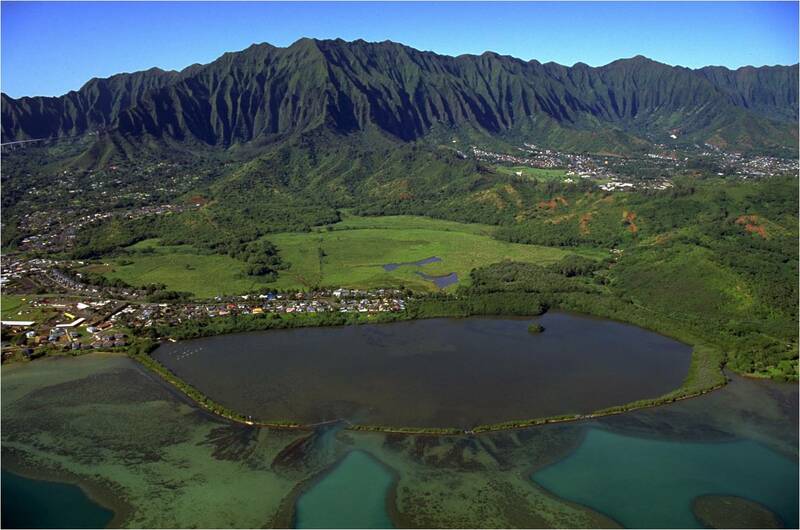 Kāko‘o ‘Ōiwi’s primary mission is to restore the He’eia wetlands into a working agricultural and cultural district. The HCDA and Kāko‘o ‘Ōiwi subsequently entered into a 38-year lease, effective January 1, 2010. On July 8, 2011, Act 210 was signed into law creating the He`eia Community Development District (“CDD”). 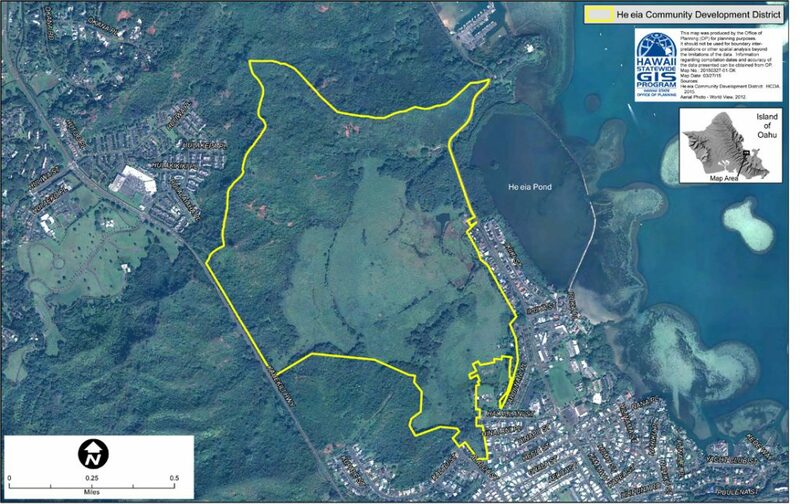 The HCDA was designated as the local redevelopment authority of the district to facilitate culturally appropriate agriculture, education, and natural-resource restoration and management of the He’eia wetlands, which is consistent with the mission of Kāko‘o ‘Ōiwi. The He`eia CDD is comprised of the approximately 400 acres of land acquired through the land exchange and is identified as Tax Map Key Parcels: (1) 4-6-16:001 and (1) 4-6-16:002 (owned by the authority), and (1) 4‑6‑16:004, 011, 012, and 017 (owned by various owners of kuleana parcels). Staff is currently in the process of developing the He`eia Master Plan and Rules pursuant to Chapter 91, Hawaii Administrative Rules. Please check the HCDA website for updates on the community meetings and opportunities to provide comments on the He`eia Master Plan and administrative rules.